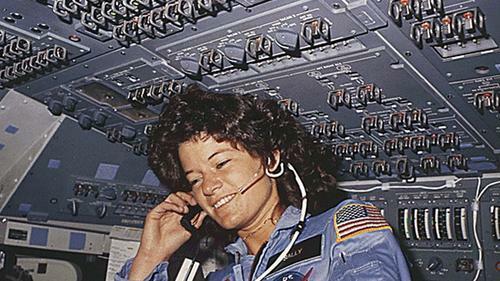 April 13, 2015 May 21, 2018 by Sally Ride Science . Posted in " In the Media " . Leave a comment . February 4, 2015 February 28, 2017 by Sally Ride Science . Posted in " In the Media " . Leave a comment . June 20, 2014 November 23, 2016 by SR Science . Posted in " In the Media " . Leave a comment . June 9, 2014 November 22, 2016 by SR Science . Posted in " In the Media " . Leave a comment . June 5, 2014 November 22, 2016 by SR Science . Posted in " In the Media " . Leave a comment . May 28, 2014 November 23, 2016 by SR Science . Posted in " In the Media " . Leave a comment . May 22, 2014 November 22, 2016 by SR Science . Posted in " In the Media " . Leave a comment . May 12, 2014 November 22, 2016 by SR Science . Posted in " In the Media " . Leave a comment .